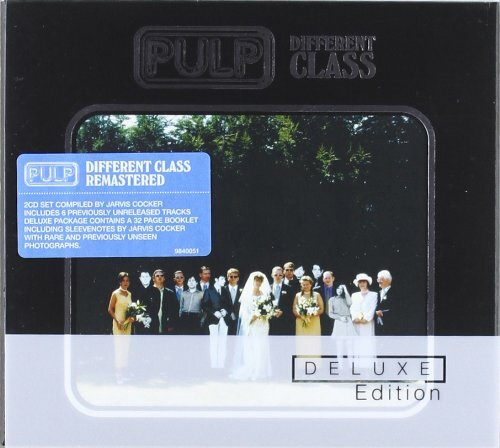 UK digitally remastered two CD set features their ace 1995 album which includes the hit singles 'Mis Shapes', 'Common People', 'Disco 2000' and 'Sorted For E's & Wizz' plus a bonus disc which brings together a collection of bonus material (personally selected by leader Jarvis Cocker) which features single b-sides, four previously unreleased recordings and 'Whisky in the Jar' (previously only released in France.) Other highlights on the bonus disc include Nick Cave's version of 'Disco 2000' (Pub Rock Version), 'Common People' (Live at Glastonbury) and more. The package comes complete with a picture booklet containing previously unreleased photos and extensive sleevenotes written by Jarvis! Universal. 2006.